Thanks to our supporters: Graham W W?bcke, Sebastian Kiernan, Rob O’Hara, Paul Harrington, Laurent Giroud, Jonas Rullo, Kolbj?rn Barmen, Tapes From the Crypt, Adam Bradley, Chris Foulds Will Williams Daniel Bengston, O’Brien’s Retro and Vintage, Chad Halstead, and Brent Doughty! The 3500 was apparently the prototype of the 3000T before it was released. You see one briefly in the Deathbed Vigil video when Dave Haynie is walking through where they tested and created our beloved machines. Main difference is that the 3500 had one more 5 1/2 inch bay (the horizontal ones near the top) which was removed to accommodate the move of the power button and key lock from beside the floppy drives on the 3500 to the angled top strip on the 3000T. 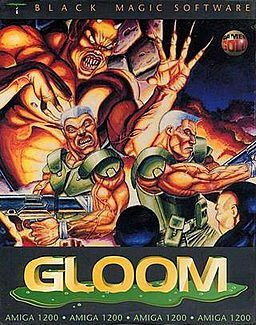 I tend to agree with you guys, Gloom didnt look near as good as Doom and seemed kind of a 'look Amiga can do FPS also' when I first saw it back in the day. I heard recently on another Amiga podcast that they have rewritten one of the Gloom games to use the Akiko chip in the CD32 (I think it was Deluxe) which improves performance greatly since this was the chip designed into the CD32 to do a chunky to planar conversion. My limited knowledge seems to recall that the 3D FPS games performed better on Chunky displays and Amiga was designed with a planar display which had been better performing at the time for side scrolling games which were the rage when the Amiga chipsets were designed. It is quite impressive they got such a game to work on a machine not designed for it. Look into the Graffiti card as well. This was like DCTV, and plugged into the video port but while not only giving the Amiga more colors, it also added a chunky pixel mode to improve performance in games like these but the game had to be written specifically to support it. Apparently according to Wikipedia the capabilities of the Graffiti are now available in the Indivision ECS. Two games I know support the Graffiti are Nemac IV and Trapped and allows them to display full screen. I have one of these but they are of course, hard to get now. I could be wrong there, it might be one of the Amiga Doom ports that was written to use the Akiko chip, not Gloom. I have to try to look that up again. Memory, as in some of my Amiga 1000 expansions, might be failing. Whenever you try to convince a newcomer of the Amiga's 16-bit supremacy, never ever ever introduce them to either of these. They'll bust their guts with laughter! They should never really have been attempted for the Amiga. It was already a dwindling market at the time, and to get the best from 3D FPSs you'd need to have had a pretty beefy, expanded Amiga. So you can imagine how big the target audience would have been. It just wasn't worth the dev time and money in terms of financial return. Really pleased to hear you enjoyed the Dizzy waffle. Matt Simmonds just got back to me re: the musical questions I put to him so that segment has now been edited in. I liked both of these quite a lot. I've always played Gloom with the joystick, as I come out in a rash if anyone mentions playing games with a keyboard! I don't think the joystick controls are bad, and left and right should work to look around; they always have for me. I've just had a go of Gloom AGA on my A1200 040, and just for info it plays about the same speed as you were playing it (or possibly slightly faster). Gloom also uses samples from Aliens (my favourite film), and has marines that look similar. I didn't know anyone with a PC, so me seeing this at the time of release would be like a PC user seeing Wolfenstein 3D for the first time. 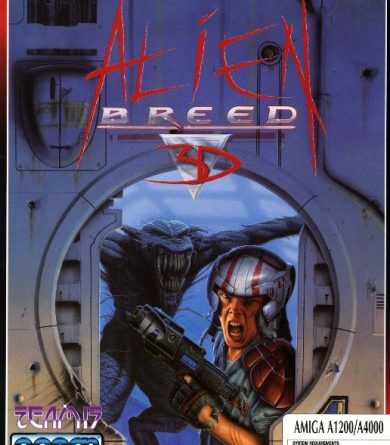 I just tried Alien Breed 3D AGA, and the WHDLoad version had reasonable mouse controls. I had it so that the right button moves forward, left shoots, and mouse moving is for looking around. It worked quite well, I thought. It is quite blocky when full screen, but after playing a few minutes I got used to it. To get out of the pool, you press space and the ground rises under you so you can get out. My favourite Amiga FPS is Genetic Species. 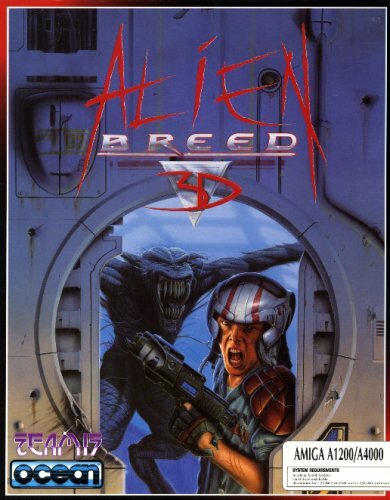 It's one of the last games I bought for my Amiga (which I used every day until 2001 when I reluctantly got a PC), though I liked playing Doom (specifically Doom Attack; crap name, excellent Doom conversion), especially with the Aliens Total Conversion installed. When you get the Spectrum going, I'd recommend Jetpac and Manic Miner. You mentioned Blitz Basic. I used to use AMOS a lot which was similar, but when I got a PC there was no AMOS version, but there is Blitz Basic for the PC, and I actually wrote an exam clock program this year which was used for the GCSE exams at the school I work in. I also use it for scanning peoples' scores in the Retro Gaming League, so I'm really happy to be using an Amiga programming language on the PC in 2016. I tried tracking down the Amiga Roundtable podcast archives… and achieved nothing. Much of it seems to be focused on the post-Commodore scene.